Good to see they are still cooking. Too far away for me. Ate there once(Drinking Street), after reading a recommendation somewhere. I certainly didn't leave there hungry and the price left no injury to my purse. 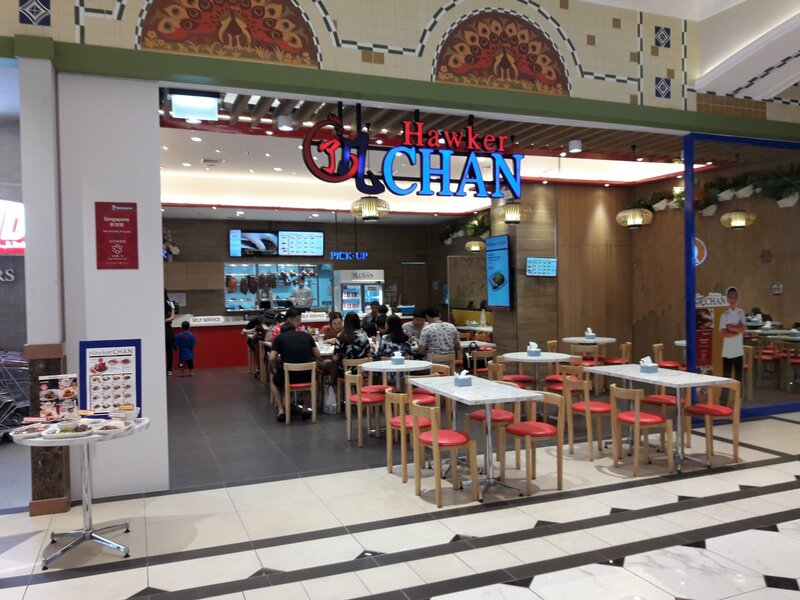 It was nice to see that Hawker Chan in T21 was not fully deserted today. In fact, it was quite the opposite as all the tables in the photo were full by the time I left. I'm guessing it's because it's due to it being New Year's day. 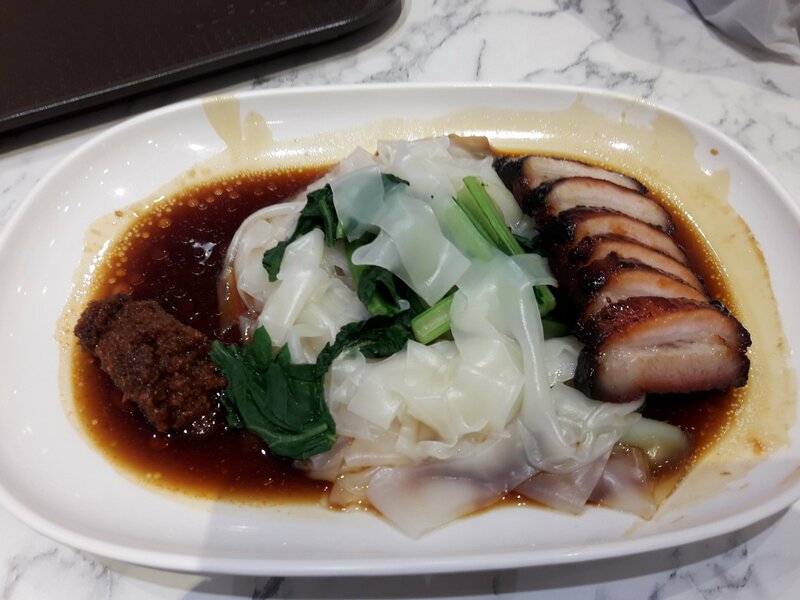 Char Siu Hor Fun still 120 baht and still tastes good. Staff was happy to see my familiar face from the old RGP store. No, it's because they have introduced a reasonably priced combination menu and got rid of the large, unpleasant girl that used to work there. I went by Oishi Eatarium﻿ today. I was told buffet is a whopping 812 baht! Even my girlfriend who really misses Oishi Buffet says it's too much. Seems to indicate 705 baht and 13 satang. Perhaps they should update their website. Guess Pattaya seems to get the tourist surcharge like Phuket. 759 baht + 7% VAT = 812 baht. So I finally got around to trying the Royal Garden Plaza Krispy Kreme yesterday. No lineup but people were contemplating if they could afford the extra calories. I ordered the Cookies and Cream and my girlfriend ordered Green Tea something. We ate both those right away. Both were fine but a few seconds in the microwave to melt mine would have been preferred. I ordered an Original Glaze and heated it up now in the microwave for 10 seconds. Tasted fine. Very soft. 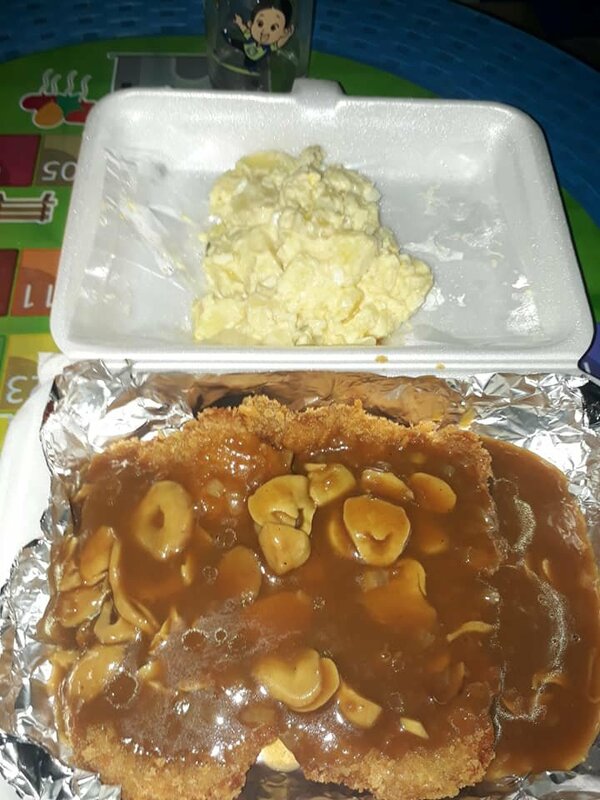 All 3 for 99 baht. 29 + 35 + 35. The things I do for research! 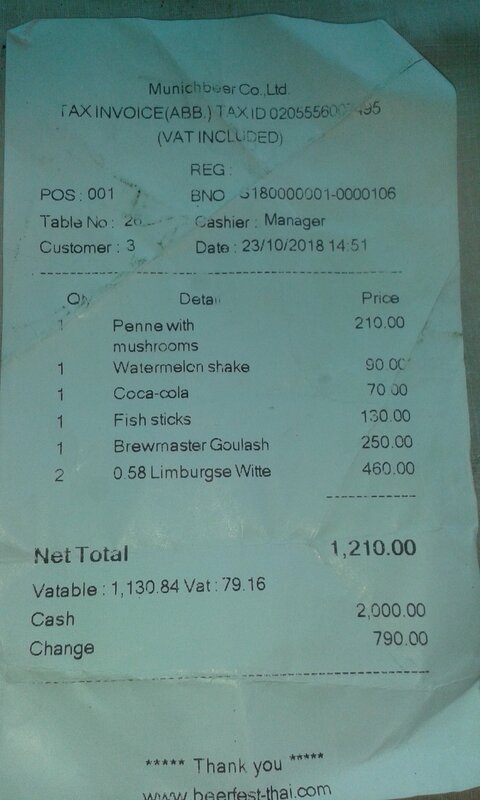 Curious what sort of pricing? Got the name of the restaurant wrong. It's Beerfest. 0.58l Draught Limburgse Witte - 230 baht. Quite expensive but seriously nice. So much so that I needed 2. 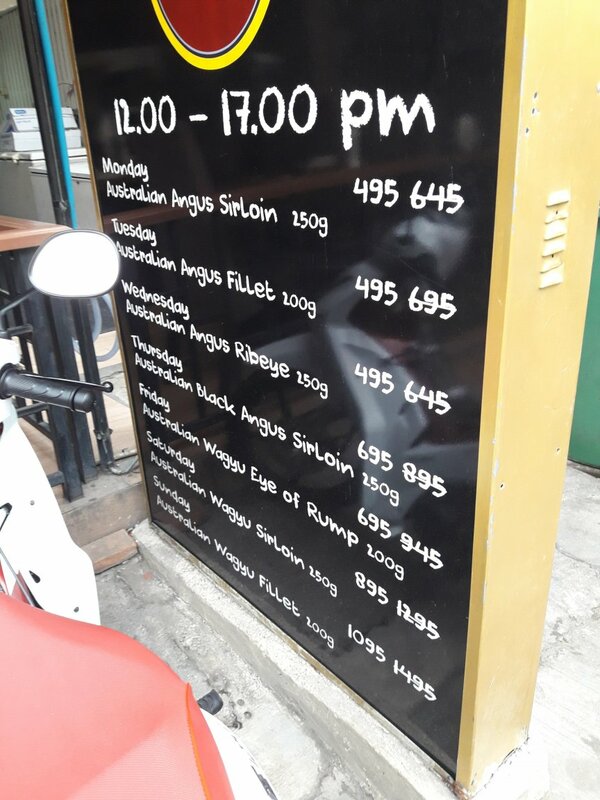 Sorry if this has been posted already but I noticed that Steak and Co on Soi lengkee has specials again. However, specials are only from noon until 5 pm. I had a 200g fillet at The Keg tonite for ฿960 before tax. If The Keg were in Thailand I would never consider going anywhere else for steak. One of the first restaurants I hit when I arrive in Canada.